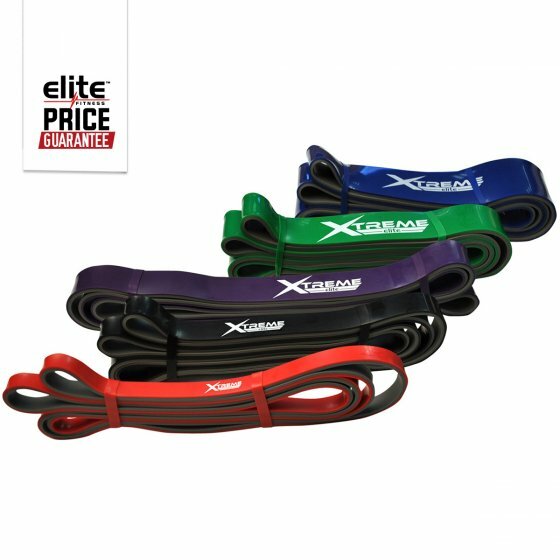 For added resistance to your daily regime, try the Xtreme Elite Dual-Coloured Power Bands! The versatile tool is beneficial when stretching, lifting and bodyweight training exercises. Increase strength, flexibility, endurance and posture with the Xtreme Elite dual-coloured power bands, designed to improve your overall fitness. A range of lengths is available, allowing you to choose the perfect level of resistance for your exercise needs.